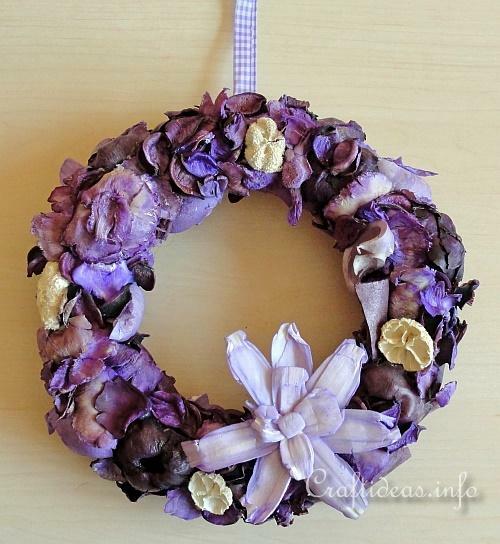 Just glue potpourri pieces to a simple grapevine wreath to have a quick and scented decoration for your home within an hour. If lilac is not your color, just choose a color that fits best to your decor instead. 1. 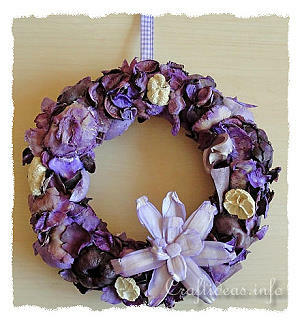 Open the bag of potpourri and decide how you wish to arrange the pieces on the wreath. 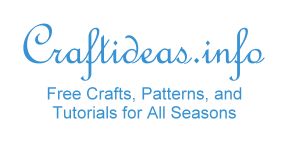 It is best to start with the larger pieces and use the smaller ones as fillers when there are still small areas in between. 2. 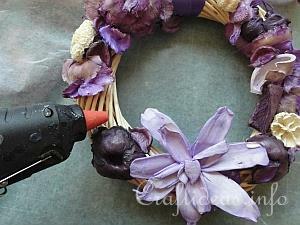 Use the hot glue gun to glue the pieces onto the wreath. 3. Tie the ribbon to the back side of the wreath for hanging.